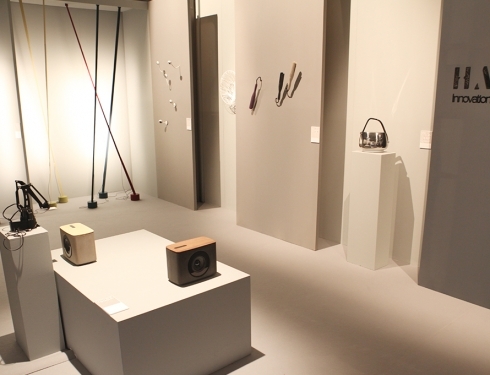 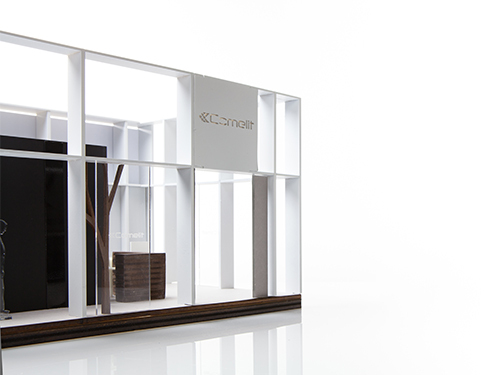 The aesthetic concept is based on the interpretation of architectural styleme in an exhibition set up point of view: architraved structures and overlapping orders. 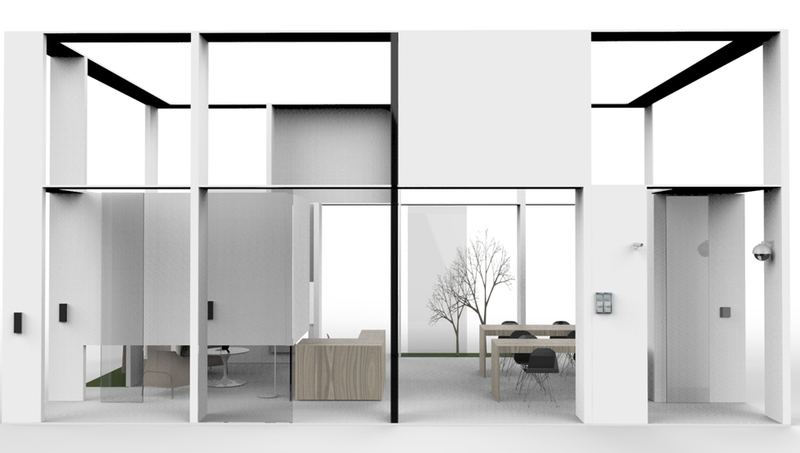 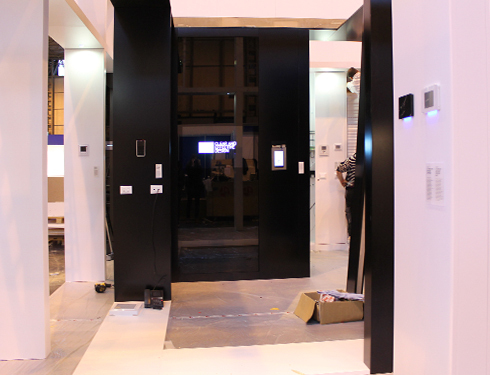 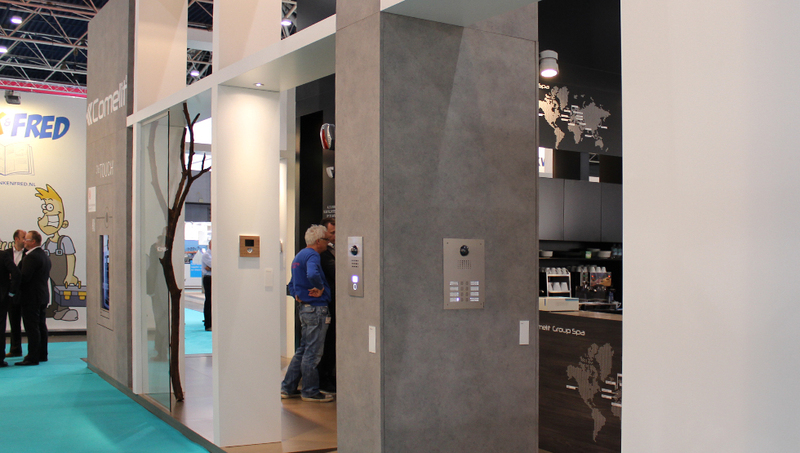 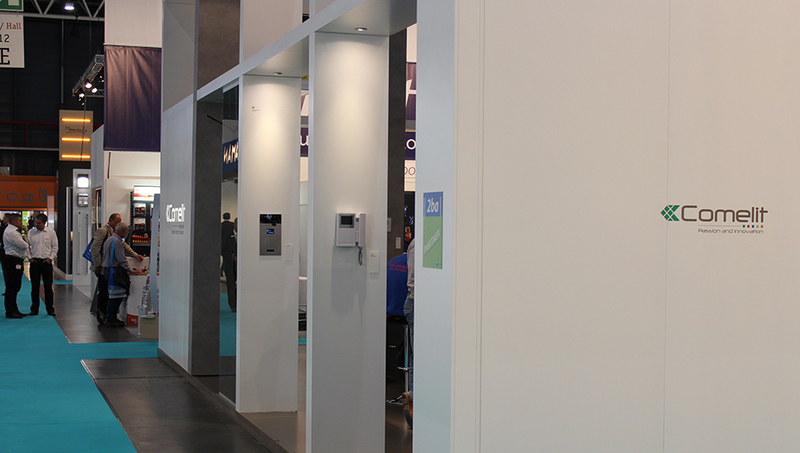 The composition of these elements makes the stand a little monumental architecture that serves as the background for the application of home automation products, intercom, alarm and video surveillance that are contextualized in an abstract way in a scenario that clearly refer to the building. 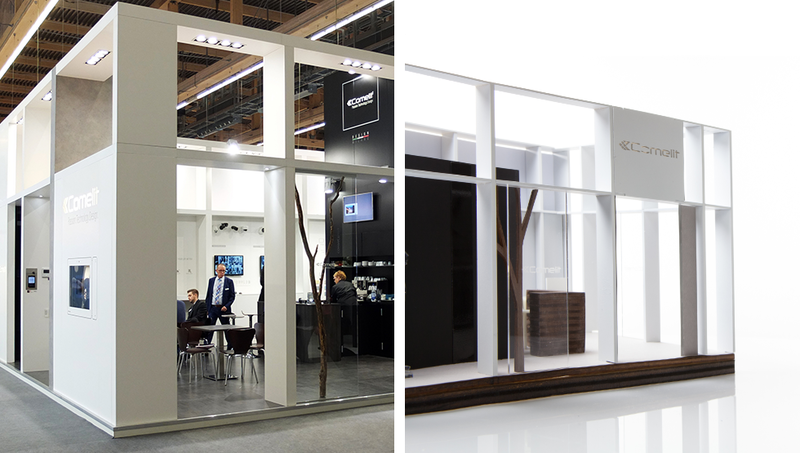 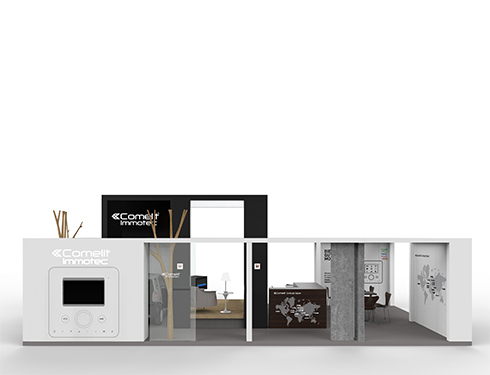 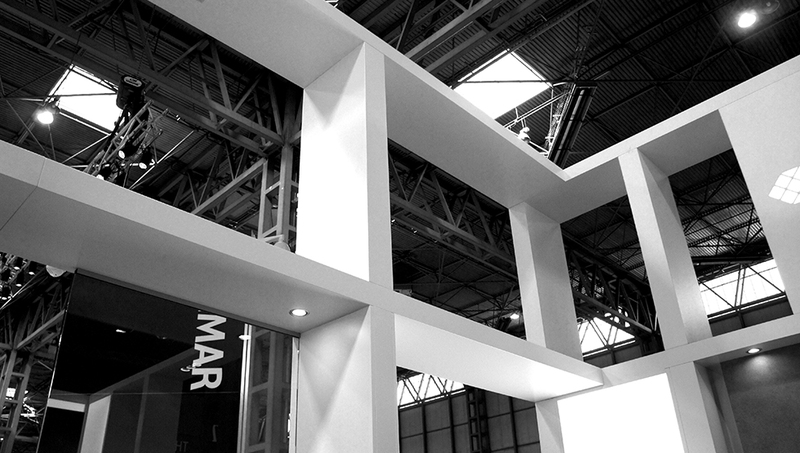 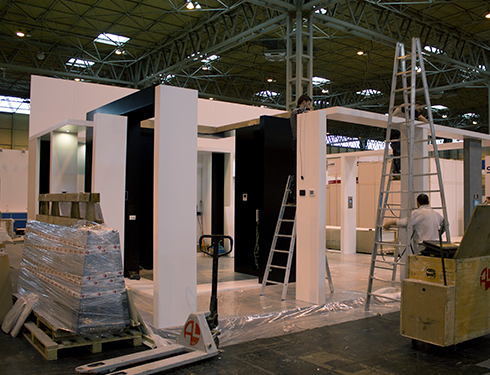 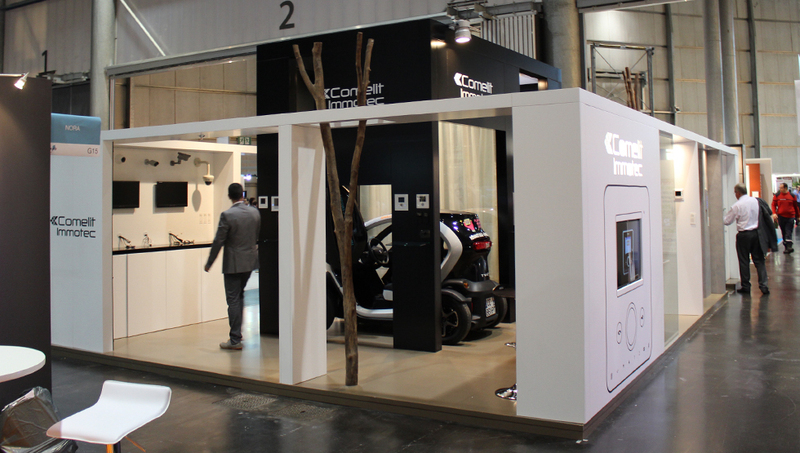 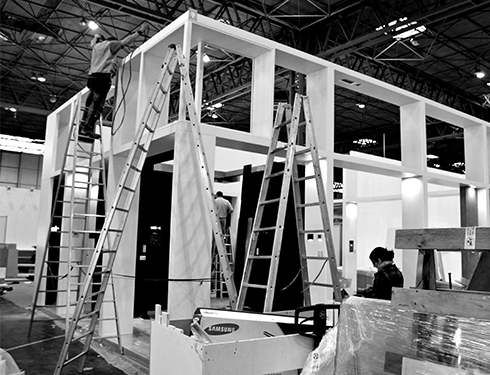 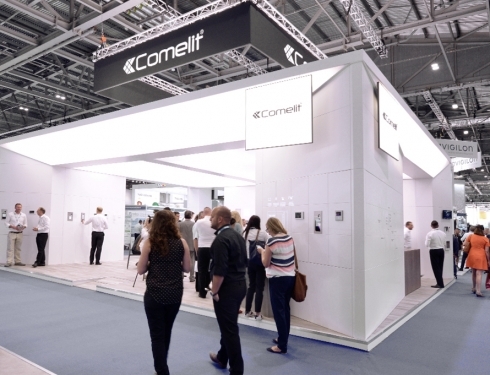 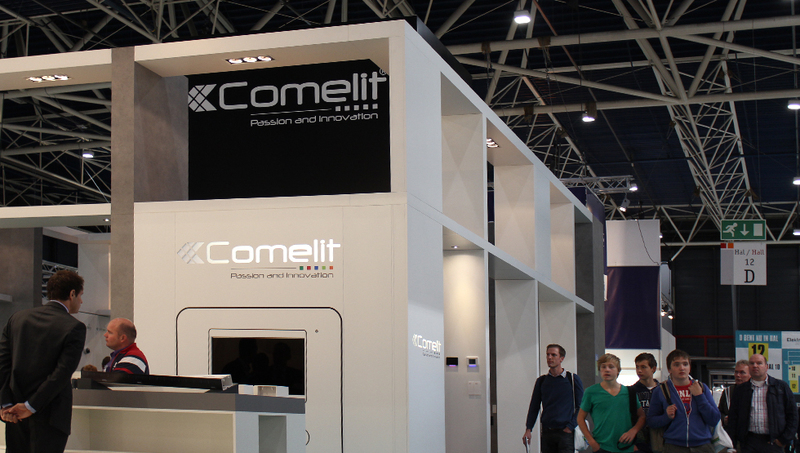 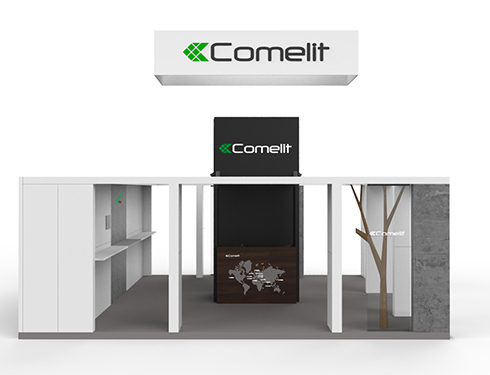 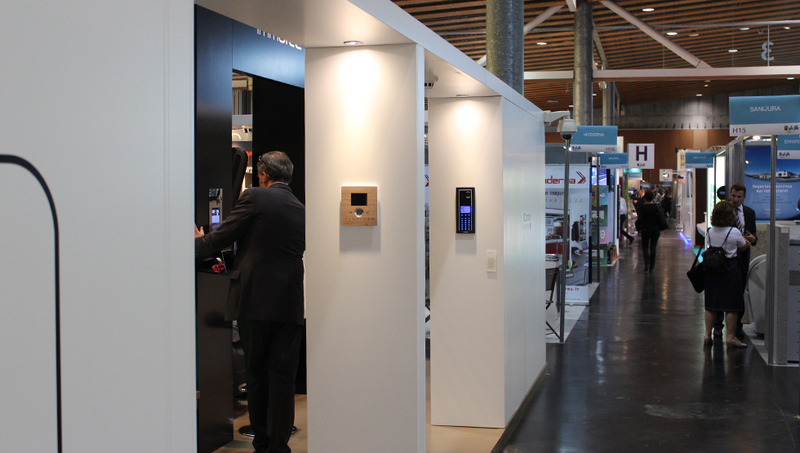 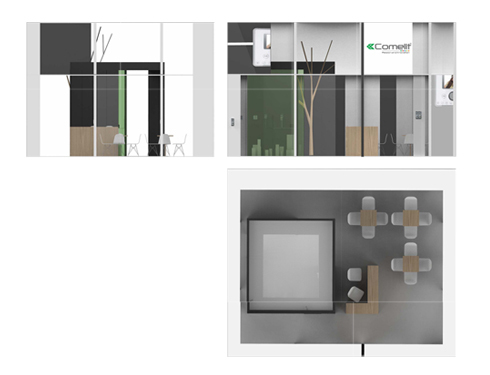 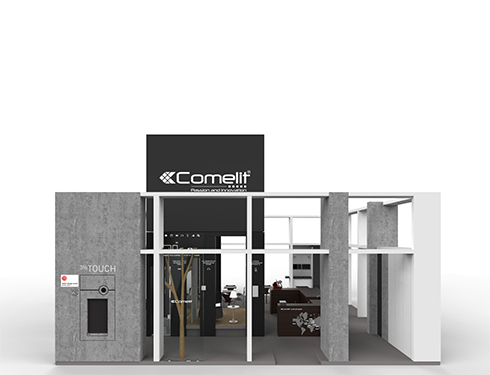 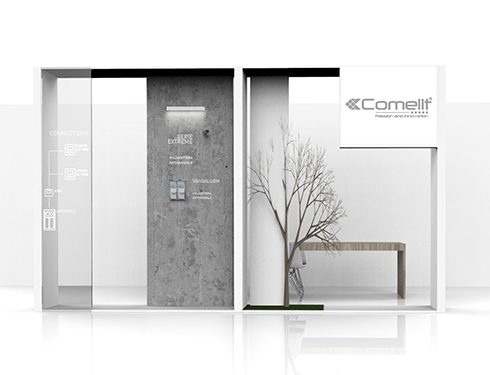 The architectural image of Comelit Group is a project that includes many facets by the product categories exhibited, by the need to communicate different products in different areas and at different times, by the geographical location of the fairs, by the available layout and geometry. 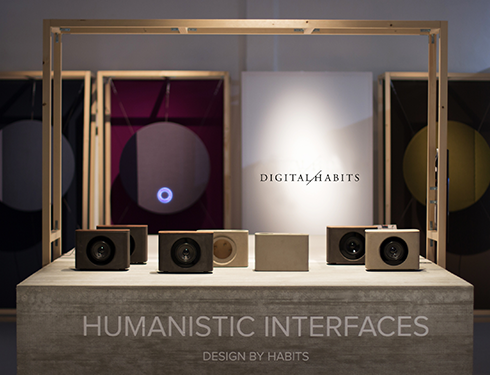 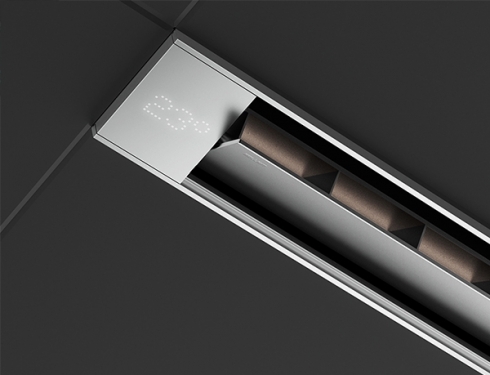 contextualize products with different uses.